A have-a-go hero has told how he overpowered a gun-wielding robber who stormed his elderly neighbour’s home. 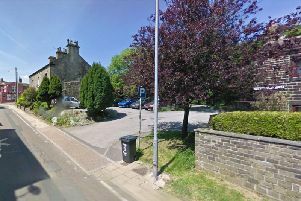 Bernard Ryan, 68, rushed to the aid of the 94-year-old woman after hearing her terrified cries as career criminal Phillip Gaskell ransacked her bungalow in Crossgates, Leeds. The retired joiner tussled with Gaskell, who vainly pulled the trigger of the imitation pistol that he was brandishing. Despite a struggle Mr Ryan, a grandfather of eight, managed to pin Gaskell down until police arrived. A judge praised his heroic actions as Gaskell, 48, was jailed for 12 years. Mr Ryan said: “I didn’t really have time to think about what I was doing, I just did it. Leeds Crown Court heard that the victim was at home with her carer, Jannae Bezundenhoug, on October 30 when Gaskell, wearing a balaclava, knocked on the door. Prosecutor Christopher Moran said he forced his way in and told Miss Bezundenhoug “shut up or you’re going to die” when she started screaming. As he demanded cash, Miss Bezundenhoug ran to the elderly woman and hugged her, but Gaskell ordered them into the living room and pushed the pensioner to the floor. Undeterred, Miss Bezundenhoug then grabbed the fake gun and tried to shoot Gaskell before hitting him with the weapon. Mr Ryan, who was at home with his wife, heard shouting coming from next door. He said: “It sounds silly, but we put a glass to the wall to try to work out what was being said. Mr Ryan went round and was immediately confronted by Gaskell, who pointed the gun at him. “I didn’t have a second to be frightened,” Mr Ryan said. “His big mistake was pulling the trigger, because then it was obvious it wasn’t real. “We got each other in a kind of bear hug and were wrestling and rolling around. The elderly woman then grabbed a hammer and started hitting Gaskell with it. Police arrived within minutes and took him away. The court heard the pensioner no longer felt safe at home, while Miss Bezundenhoug was too terrified to return to look after her. Gaskell, who has several robbery convictions, admitted two offences of attempted robbery and possessing an imitation firearm with intent to cause fear. Judge Christopher Batty commended Mr Ryan and Miss Bezundenhoug as he sentenced “dangerous” Gaskell, of West Park Drive East, Roundhay, to 12 years with an extended period of five years on licence. He awarded £250 from public funds to Mr Ryan and Miss Bezundenhoug in recognition of their bravery. Mr Ryan said he was glad Gaskell had been locked up. “I’m not normally the sort of person who would see something kicking off and automatically jump in, but I’d like to think I’d do the same again,” he added.